When deciding where to buy a property in Italy, look at the more obscure airport locations – there could be an airport with good links to the UK closer than you think. When you have owned a second home in Italy for a while, you’ll soon appreciate how handy it is to be able to reach it asap. If you decide to rent the property to tourists, a location that is easy to reach is worth its weight in gold. That dirt track might look attractively rustic, but it will probably put off potential guests. I recommend drawing a circle on the map roughly a one-hour drive from the airport and trying to keep your property search within that area. Also, check how frequent the flights are from the UK to your chosen airport and beware flights that only run in summer. 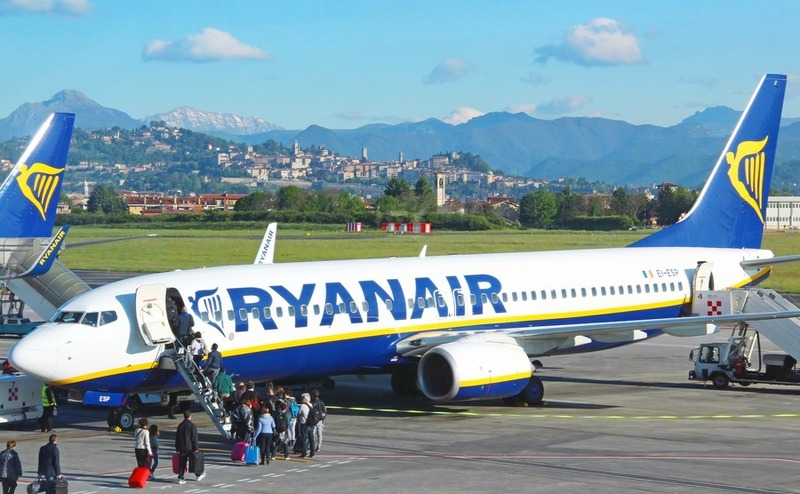 Over recent years the increase in routes and flights by low cost airlines to Italian destinations have gone a long way to increase visitor numbers, which is good news for anyone buying a property to rent out. The last data from Eurostat shows that Italy was the second most popular European destination for visitors coming from abroad, with over 187 million nights spent in tourist accommodation. In the last two years numbers have increased even further, partly due to tourists shunning other countries because of fears of terrorism and unrest. Over three million visitors come to Italy from the UK each year, but even more arrive from Germany, The United States and France. Top Italian tourist spots such as Venice, Florence, Cinque Terre and Capri have actually been concerned that they are attracting too many tourists. To help relieve overcrowding in these places tourism websites have been encouraging people to visit other equally beautiful cities and regions. There is a long list of “Art Cities” on www.italia.it that are worth visiting, including Trento, Turin, Lecce, Matera and Lucca. So, don’t feel you have to limit your property search to the busiest tourist towns. There are a lot of other beautiful places that are just being discovered by tourists that offer good property prices and increasing potential to make good rental income. Many British tourists are just looking for a quiet countryside holiday with beautiful scenery and some interesting towns to visit nearby. If it has a pool, a nice view and Italian charm, even better. In the north, the airports of Turin, Genoa, Milan, Verona, Bologna, Venice and Trieste bring tourists to regions offering ski resorts, lakes, canals, elegant cities and the Italian Riviera including Portofino, Sanremo, and Cinque Terre. 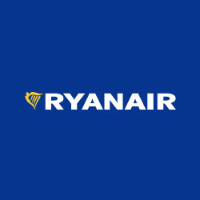 To help get you started on your location search, I have put together the following table showing which UK airports have routes to Italian airports with low cost airlines Ryanair and Easyjet. In central Italy airports at Pisa, Ancona, Perugia, Rome and Pescara are the gateway to the Italian Renaissance of Florence and other fine cities such as Siena, Pisa, Lucca, Perugia and Assisi. Relaxing times can be enjoyed in the picturesque landscape of the countryside or exploring the ancient history of Rome. In the south, the airports in Naples, Bari, Brindisi and Lamezia bring sun worshippers to breath-taking sea views, beaches and National Parks. There is more architectural history to discover at the ruins of Pompeii, the Sassi of Matera, the Trulli in Puglia, and the many historic town centres (Centro Storico). Which Italian airport shall we fly to? You can also fly direct to the Islands of Sardinia and Sicily. Both Islands have stunning coastlines, archaeological ruins and cheap village houses waiting to be renovated and turned into holiday homes. To help get you started on your location search, I have put together the following table showing which UK airports have routes to Italian airports with low cost airlines Ryanair and Easyjet. There are also other airlines doing similar routes, and don’t forget the Italian airlines, such as Alitalia and Meridiana. 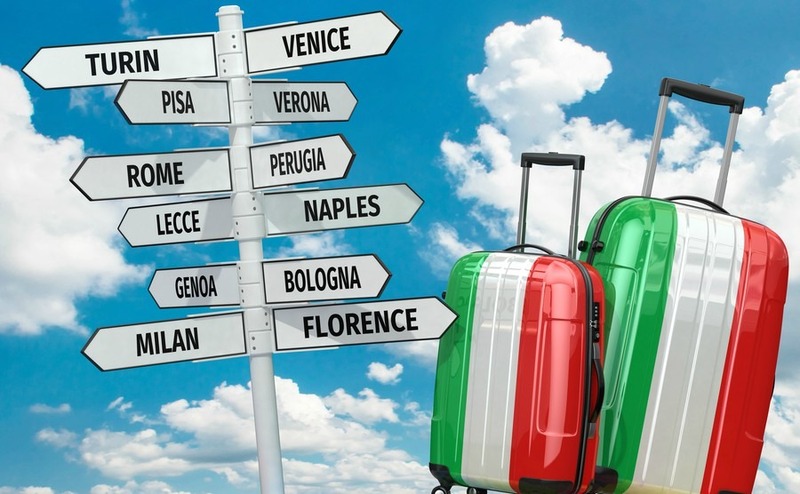 Whichever part of the country you choose to buy a property, you can easily visit other Italian cities, thanks to an impressive schedule of internal flights, at very reasonable prices. It’s worth taking advantage of cheaper weekday prices on flights from the UK and also allowing holiday guests to do the same, by permitting irregular lengths of stay, arriving and departing on a weekday. They usually appreciate how much it saves them and will try and fit their holiday dates around other guests already on your booking calendar. Take a look on https://www.ownersdirect.co.uk/ at the top-rated holiday rentals to get an idea of what types of property are popular with tourists and what sort of prices you can charge. There are also flights: Glasgow to Milan, Pisa and Rome; Leeds Bradford to Pisa and Venice; Belfast to Milan and Birmingham to Verona.